2015 – Main prizes in categories of Apartament, Interior design show home, Residential developer and Residential high-rise developer. 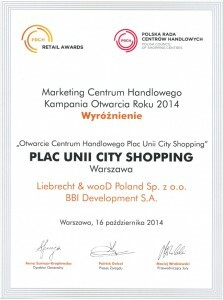 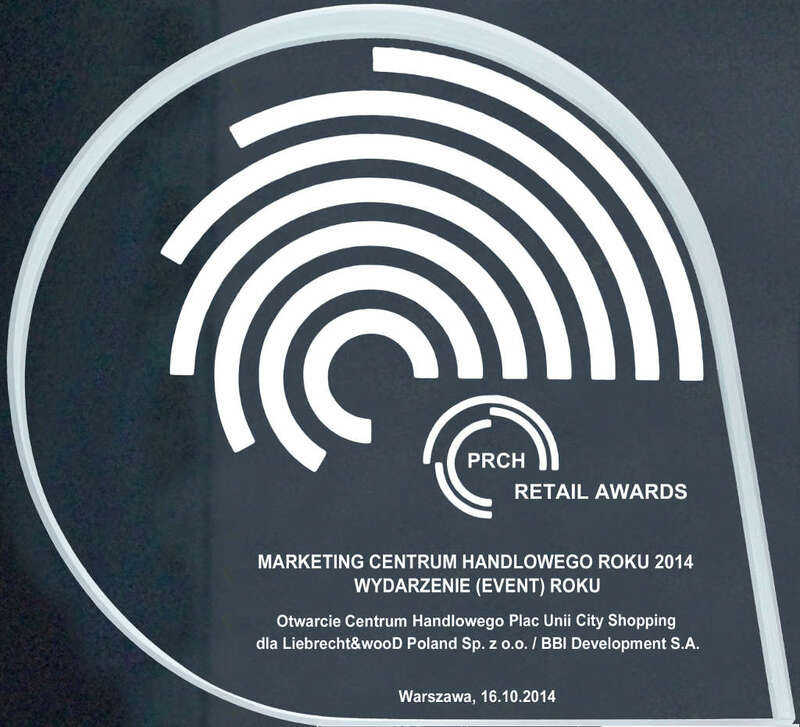 First prize for Best Event of 2014 for the opening of Plac Unii City Shopping and an honourable mention for Best Opening Campaign of 2014. 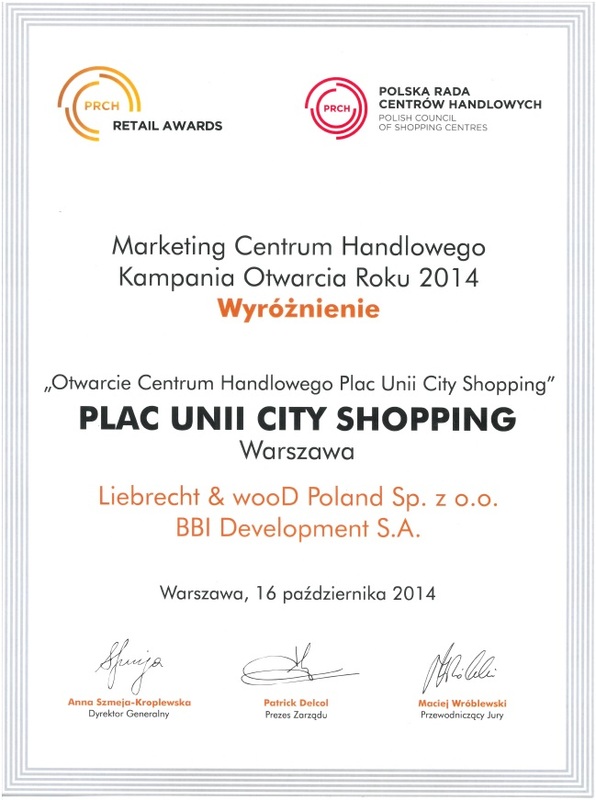 2014 – Prestigious award for PLAC UNII in the competition Prime Property Prize 2014 in the category of Architecture. 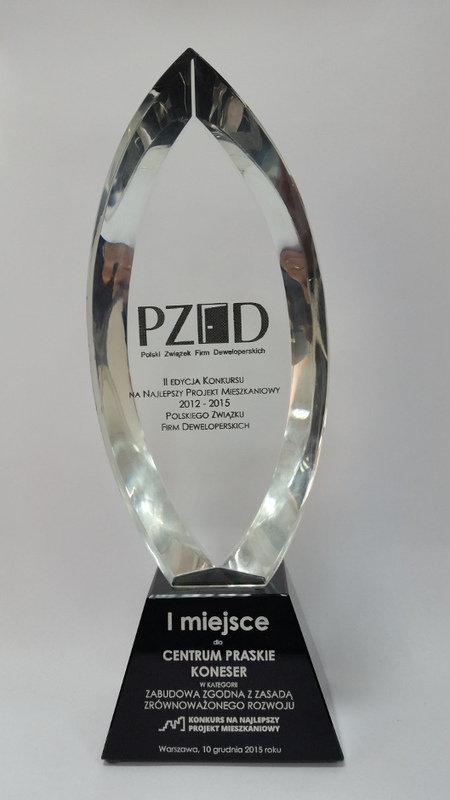 Prime Property Competition Prize in 2014-the best in commercial real estate (23 September 2014). 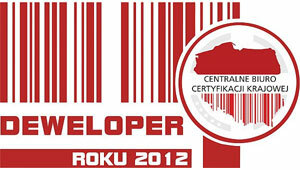 Organized by NEW ADDRESS SA. 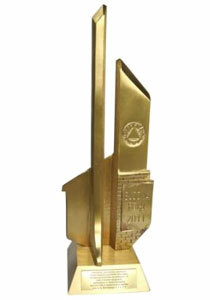 Acquired in the Construction Competition 2012. For the office building in the former distillery Koneser in Warsaw. 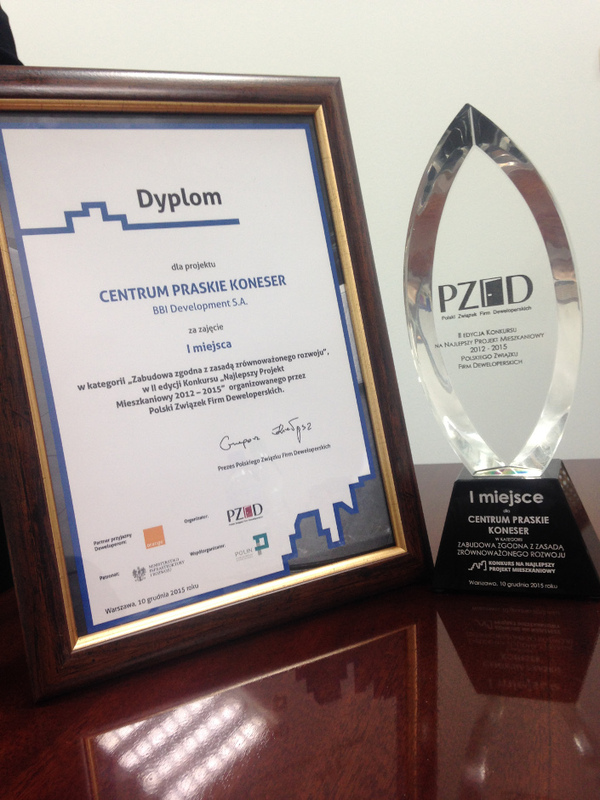 Competition organized under the auspices of the Polish Association of Construction Engineers and Technicians. 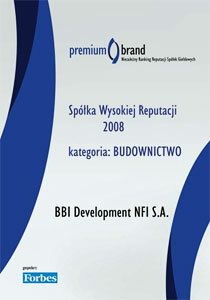 Acquired in an independent survey among institutional investors.